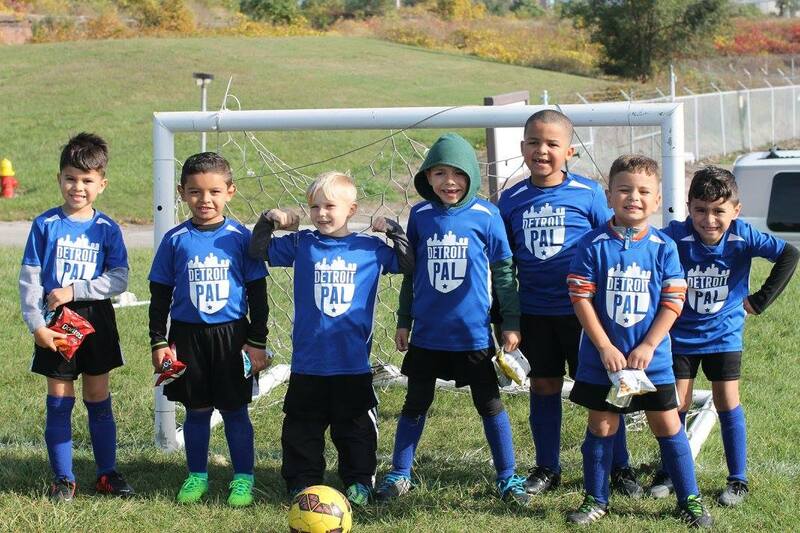 Detroit PAL is a non-profit organization positively impacting the lives of more than 14,000 children each year. With roots dating back to 1969, our group works to create safe and supportive places for kids to play. We also train and certify more than 1,700 volunteers each year to become encouraging coaches and mentors to the city’s youth. In partnership with the Detroit Police Department and community volunteers, Detroit PAL builds character in young people through athletic, academic, and leadership development programs. In 1996, two young lawyers, Mike Tenbusch and Dan Varner, founded Think Detroit. Designed as an alternative to Detroit’s existing youth sports leagues, Think Detroit quickly drew children to its leagues. Realizing that together they could best serve Detroit’s youth population, the two leagues merged in 2006 to create Detroit PAL. With year-round programs that star more than 14,000 young athletes and thousands of coaches, Detroit PAL helps its athletes learn the skills needed to succeed both on and off the playing field. As our organization heads into the future, we haven’t forgotten why our leagues were founded in the first place. We look forward to giving the youth of Detroit a positive outlet for many years to come. Detroit PAL is taking steps to ensure that any child who participates in a PAL program is safe and protected from any form of sexual harassment or assault. Read our full statement here. Here are a few of our frequently asked questions. If your question isn’t answered here, please feel free to contact us and we’ll respond to you as soon as possible. Q: What Is the Mission of Detroit PAL? A: In partnership with the Detroit Police Department and community volunteers, Detroit PAL builds character in young people through athletic, academic, and leadership development programs. Q: How Can I Help Detroit PAL’s Mission? A: There are several ways you can help us further the mission of Detroit PAL. Volunteer Your Time: Detroit PAL is always looking for volunteers to help in our sports leagues. Make a Donation: Monetary donations help us continue our programs and reach more children and families in the Detroit area. All donations are tax-deductible. You can donate online or mail a donation to our office: Detroit PAL, 1680 Michigan Ave., Detroit, MI 48216. Become a Sponsor: Our corporate and individual sponsors are integral to the success of Detroit PAL. Q: Is Detroit PAL a City Department? A: No. Detroit PAL is a private non-profit organization and does not receive any direct funding from the city. We do, however, benefit from a wonderful relationship with the Detroit Police Department. Detroit PAL has six police officers stationed with us to assist in program administration. This partnership allows the police department to build a better relationship with the community and, in turn, work to reduce crime by providing kids with valuable after-school activities. Q: How Is Detroit PAL Funded? A: Detroit PAL operates on an annual budget of approximately $3 million that comes from a variety of sources. About 30 percent of our revenue comes from local and state foundations. Another 30 percent comes from special events, most notably the North American International Auto Show Charity Preview and the Paul W. Smith Charity Golf Classic. Approximately 15 percent of our funding comes from corporate sponsorships and 15 percent comes from private individuals. The remaining 10 percent comes from miscellaneous sources, such as program fees and investment income.